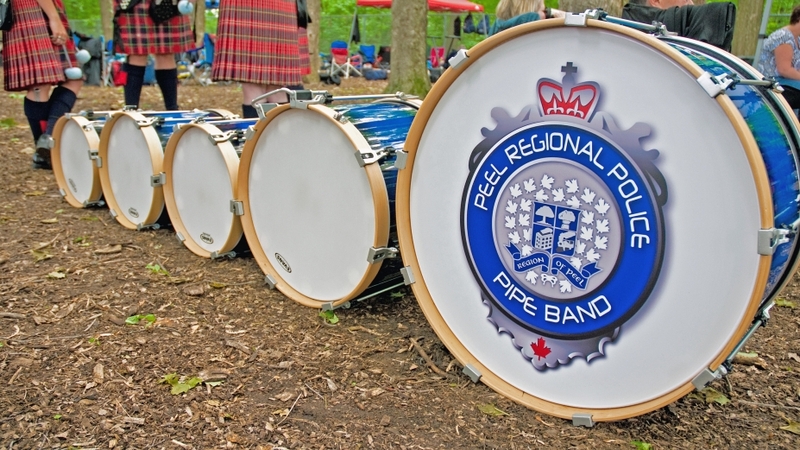 The Peel Regional Police Pipe Band was formed in 1976 and is now stronger then ever; the band currently has 39 members from all walks of life that bring a wealth of experience with them; members include police officers, lawyers, engineers, students, machinists and H.R. professionals to name but a few, who together pursue the common goal of being a competitive and successful grade 1 pipe band. The band proudly wears the distinctive Red MacPherson tartan and a black and white diced Glengarry which is unique in North America to the Peel Regional Police Pipe Band; the black and white pattern comes from long standing military, police and pipe band tradition. Each year the band participates in a number of events on behalf of the Peel Regional Police Service. These events include recruit graduation ceremonies, awards and promotion ceremonies and community events including participation in the Ontario Police Memorial at Queens Park each spring and the National Peace Officer’s Memorial on Parliament Hill in Ottawa in the fall. These two events pay tribute to police and peace officers who have given their lives in the line of duty. 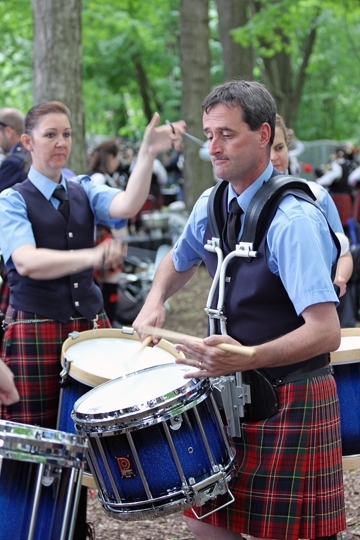 In addition 2010 has been very busy competitively for the band which is to date unbeaten across Canada and North America, and will be traveling to Scotland to participate in three contests; Bridge of Allen, North Berwick and the World Pipe Band Championships. 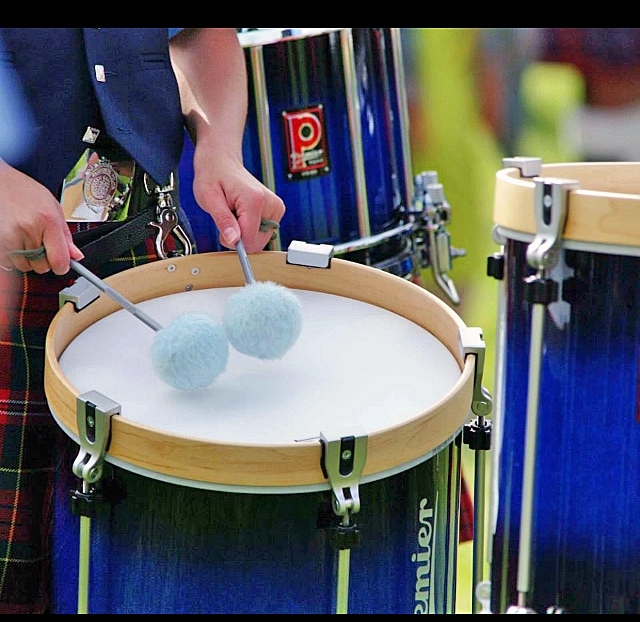 Peel Regional Police Pipe Band chooses Premier HTS 800 snare drums and Professional Series bass and tenors. The refined HTS 800 represents the pinnacle of pipe band snare drum design and performance, and the Professional Series with its unique free-floating shell and turnbuckle tuning system offers the most comprehensive size range on the market today enabling capture of the entire tuning spectrum.